Most of the leading cruise operators have announced they are returning to Turkey’s ports, with tourism representatives expecting a complete rebound in 2019 and 2020. Turkey’s cruise tourism had a big plunge in 2016 amid an escalation in geopolitical concerns and security worries. The number of cruise tourists plummeted to 306,000 in 2017 from almost two million in previous years, as almost all cruise operators diverted their Turkey tours to other countries, such as Greece. Thanks to a spectacular ease in security concerns, cruise operators have started to add Turkey to their routes again. Nearly half a million cruise tourists are slated to visit Turkey this year. Sector professionals have expected a strong rebound by next year. 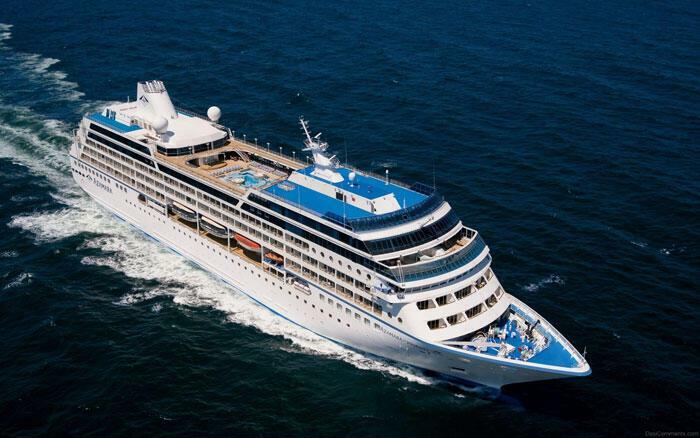 An ultra-luxurious cruise ship, Azamara Journey, owned by Royal Caribbean International is set to visit Turkey’s Kuşadası on May 15 with its 850 passengers, according to company representatives. “This will be the first trip of our company to Turkey this year. A majority of Azamara Journey passengers consist of British and American tourists. We are planning a larger number of tours to Turkey. 2020 will be much better,” said Royal Carribean Cruise Turkey’s Communications and Marketing Director Cihangir Canıyılmaz. Norwegian Cruise Line had earlier announced it would add Kuşadası to its routes in 2018. Holland America Line is also set to return to Turkish ports by 2020. In addition, MSC Cruises will start its Antalya and İzmir trips in 2019. Tura Tourism chair Erkunt Öner said the sector would have some relief after a tough period and the government’s incentives to the sector would play a key role. “Leading cruise operators have started to return one by one … The incentives offered by the government to cruise operators, which carry tourists to Turkey, will play a key role,” he said, adding that the construction of Istanbul’s main cruise port must be completed as soon as possible. In 2015, the cruise port in Istanbul’s Karaköy was closed down due to the construction of the new Galataport cruise facilities.